The New York Giants lack proven talent on the defensive line and will be looking towards their youth to pick up the slack after trading Olivier Vernon. 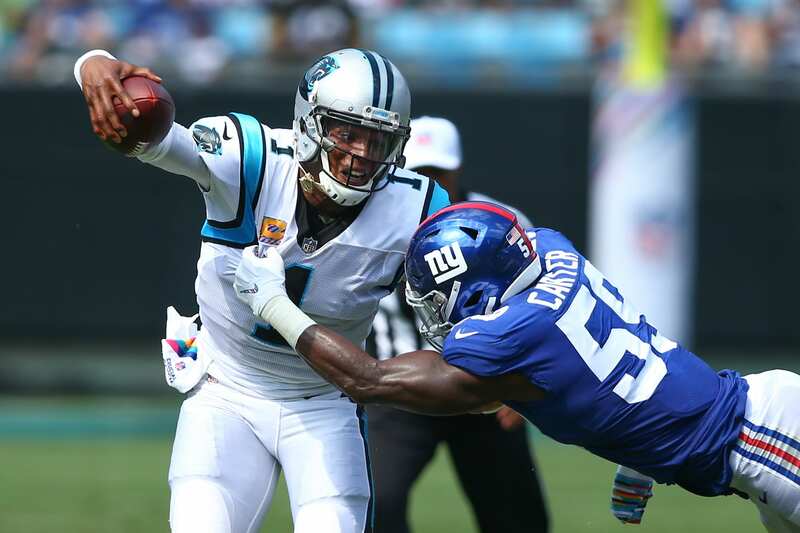 It’s possible general manager Dave Gettleman elects to draft a pass rusher in the top portion of the first round, but regardless only one side of the defensive front will be filled. The Giants will expect 2018 third-round pick, Lorenzo Carter, to break out after a solid rookie campaign. He racked up four sacks and 43 combined tackles, including 10 quarterback hits. There’s optimism surround the young defender, as his length and speed around the edge present a great opportunity for success. Carter will feature as a probable starter in 2019, especially after Kareem Martin struggled to produce in his first year with the Giants. Despite the fact that multiple edge rushers will likely be drafted, Carter will get the first crack at the starting job. He must utilize the offseason program to bulk up and gain strength. His development process was held to just 40 percent of defensive snaps last season, but he should earn much more action this year. Vernon’s departure will only benefit the lanky linebacker, and it should give him the confidence to begin reaching his potential. Having the No. 6 overall pick in the 2019 NFL Draft, which is just two weeks away, allows the Giants to grab a premium-level talent. One stellar option would be Kentucky linebacker Josh Allen who would be a perfect fill alongside Carter. Placing him on the opposite side would give the defense two dynamic options with the ability to get after the quarterback. Allen earned 21.5 tackles for a loss and 17 sacks in 2018, making him one of the best prospects in the draft. It’s unlikely he drops to the Giants, but if he does, selecting him should be a no-brainer. New York Giants: Could The Giants Find A Franchise Quarterback After Round One?